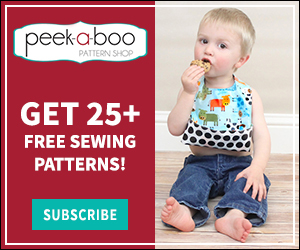 Freezer Paper Stencil Tutorial - Peek-a-Boo Pages - Patterns, Fabric & More! With busy summer schedules and school starting soon it’s nice to squeeze in a quick project. 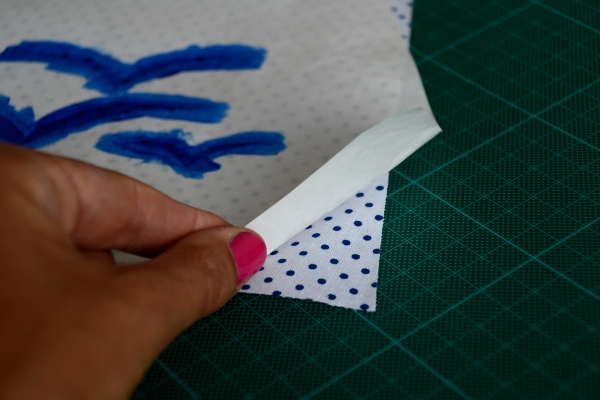 These freezer paper stencils are perfect for embellishing any project! 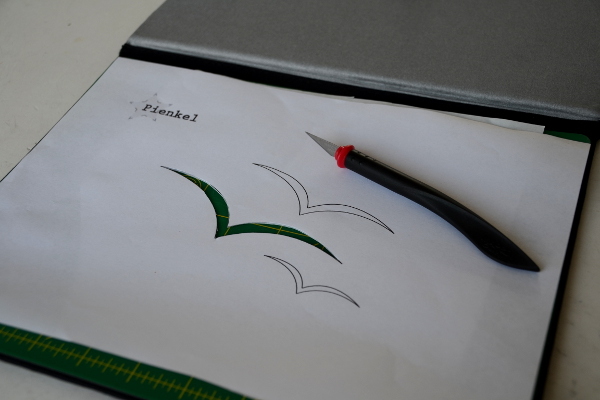 Nienkie from the Contributor Team is here today with a fun how-to and some free templates! 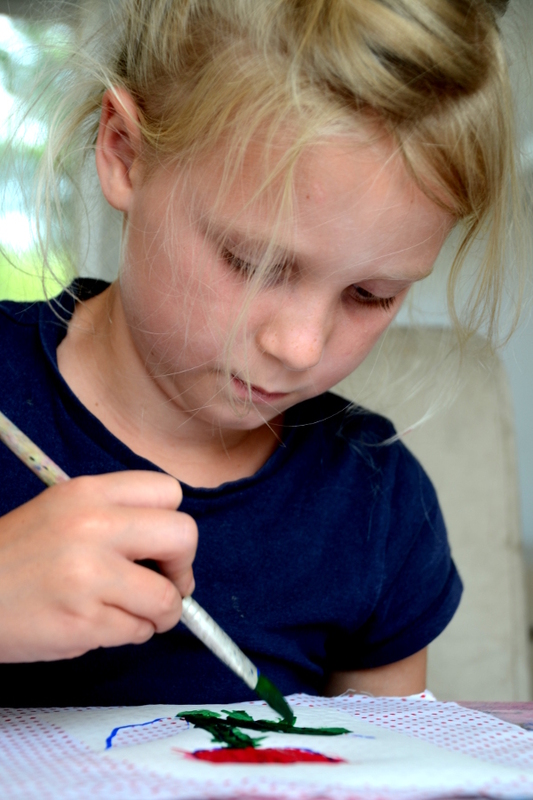 Hi there, this is Nienke, from the Dutch blog Pienkel and I’m very happy to be here! 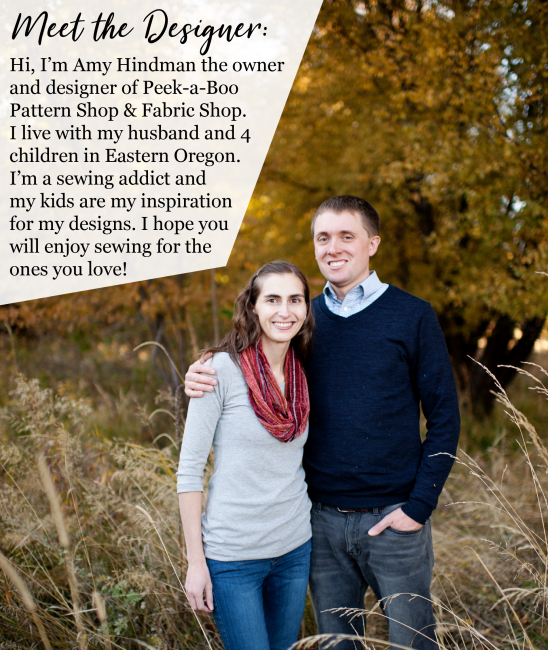 Amy’s patterns were among the first digital patterns I purchased, so I love to be able to participate on this blog. 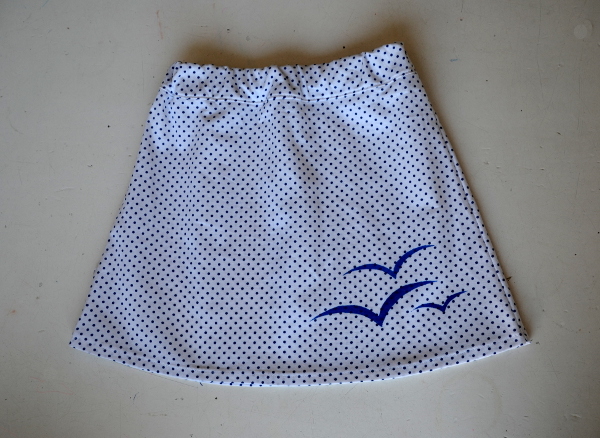 However, these summer months are slow months for sewing in my household, with three little kids at home. To satisfy my creative urges during summer vacation, I love to do some stenciling. 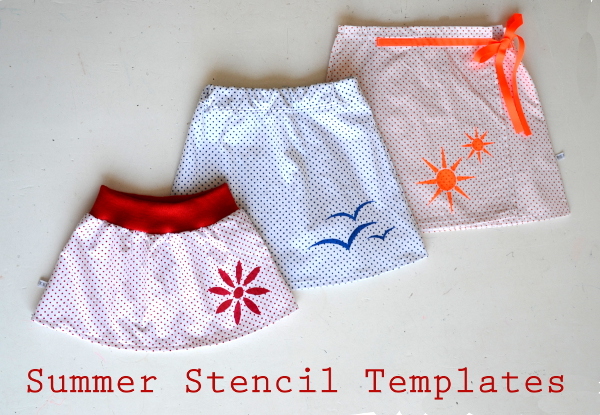 Freezer paper stenciling is an easy way to decorate homemade or store-bought clothing. And, big bonus, my eldest kids can do this as well! Of course you can use any image you like, but in case you want to get started immediately, I created a template with three summery images for you to download. The images of sun, flowers and seagulls are inspired by summer over here at our little island. It’s a PDF, available by clicking here. 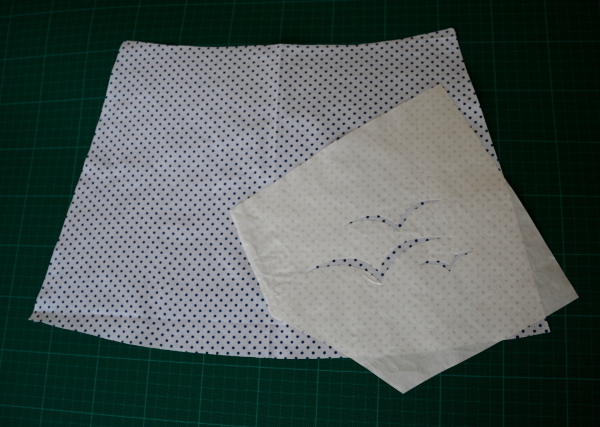 – Fabric to stencil on. I prefer a natural fiber and if possible pre-wash the fabric. Pre-washing removes any coating that may be applied to the fabric and that could prevent your paint from catcing onto the fabric. First you need to cut your template out of the freezer paper. I prefer to do so by placing both papers – the printout and the sheet of freezer paper – on top of eachother and cut through both at once. If your print is directional, make sure you place the freezer paper with the shiny side down. 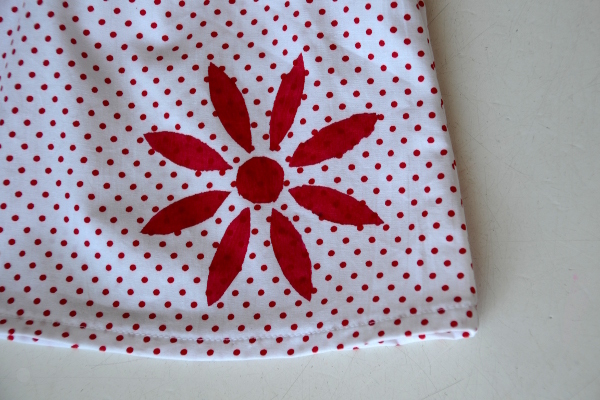 Then, iron the freezer paper template with the shiny side onto your fabric. If you use storebought clothing, make sure you place some cardboard in between the layers of fabric. 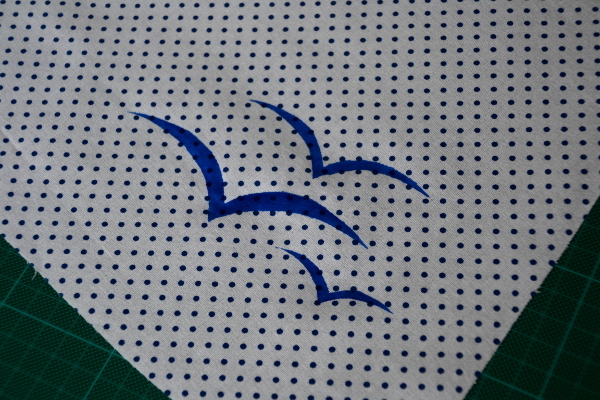 You wouldn’t be the first to paint on both front and backside of a shirt at the same time… If you use the stencil to embellish homemade clothing, I prefer to do the stencilling before constructing the garment. Every now and then my stencilling fails big time. It would be a waste of time having to rip apart the entire garment then, so I now paint before I sew. This way, I might have to cut a new part if things go wrong, but I don’t have to do any serious damage control. However, make sure your placement is correct, taking into account seam allowances and hems. If you’re unsure, iron under these allowances when deciding on the proper place for your image. 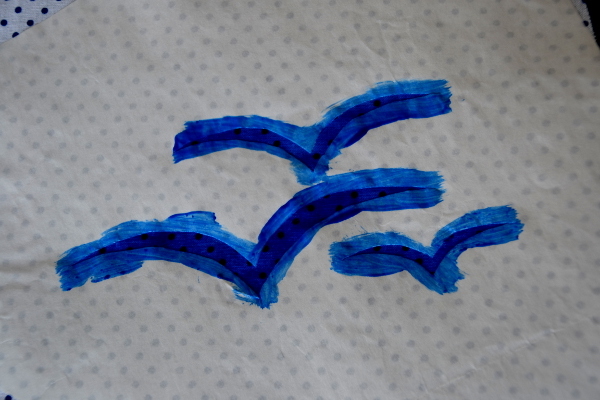 Now carefully apply textile paint to the fabric. Try not to use too much paint, it could bleed under the freezer paper. I prefer to apply a thin layer of paint, let it dry and apply a second one later on. When all paint has fully dried, carefully remove the freezer paper. If necessary, set your paint by ironing. You can check the instructions on your brand to see what’s recommended for your specific brand of paint. Your stencil is done, now continue sewing your garment! I used mine for some quick skirts. If summer leaves me some more time, I’d love to sew my little man some playclothes to stencil on together. Amy just released a free pattern for shorts and shirts, so if you want to get going, these would be a great start!